Although my children are still in the elementary grades, I am so thankful for Dr. Biehl’s indispensable resources that will someday help prepare them as they encounter Biblical worldview skeptics and disbelievers. Sitting under Craig's teaching has also helped me as a parent to more accurately teach and mold a foundation in the Lord. Dr. Biehl’s insights and presentation of sound, methodical reasoning disarms the typical attacks on the Bible from our popular culture. 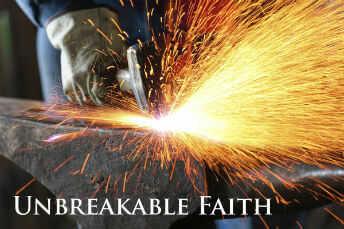 Unbreakable Faith is a must for any Christian in today's world!" We respect your privacy. We'll NEVER sell, rent, or share your email address. That's more than a policy, it's our guarantee! We donate a portion of every course sale to HSLDA to protect your right to homeschool your children.